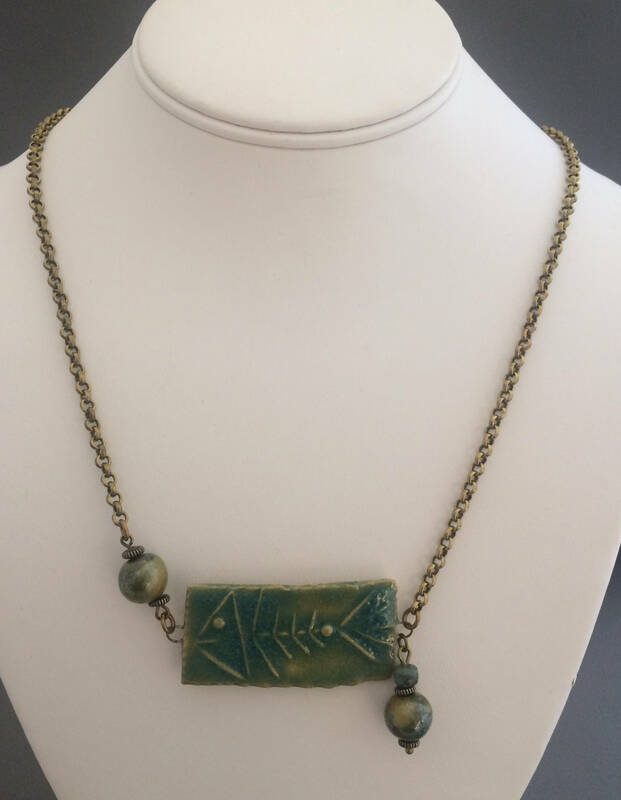 This is a very unusual necklace with a focal made of ceramic with a fish design and accented by matching ceramic beads on a natural brass chain. 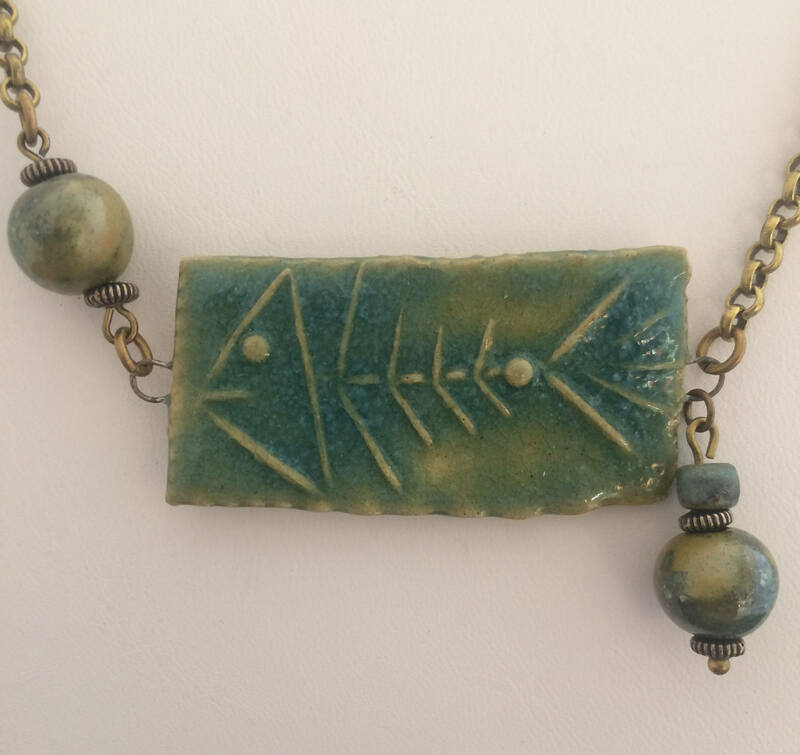 It is 20" long with a hook and eye clasp. Free shipping.